With Genoa Waterfront Blueprint, Renzo Piano boosts his constant research in redefining the complex relationships between Genoa and its port. The strategic vision for the future of the city entails the support to the harbour activities, key element for the development of the forthcoming quality of life. In line with the renewal of the waterfront, Blueprint is the opportunity to continue the promenade from the Historical Port to Foce area (in proximity of the mouth of river Bisagno). Urban functions alternate with harbour works generating a unique urban experience. Systematica carried out a pre-feasibility study in order to verify the road network proposed by the Blueprint vision. The proposal envisages a new coastal road serving both the harbour and the new urban vocation and following at grade Aldo Moro flyover (between the Fish Market building and Kennedy square). At the wider scale, two infrastructural scenarios are taken into account: 1) the accomplishment of an underwater Tunnel, in correspondence of the Historical Port, and 2) the realisation of the inland arterial road, to decrease the traffic along the costal flyover and allow its demolition. In the underwater Tunnel scenario, the Blueprint road reaches Aldo Moro flyover in proximity of Casaccie junction. The second scenario envisages the realisation of the new costal road linking at grade the Tunnel with Kennedy square. 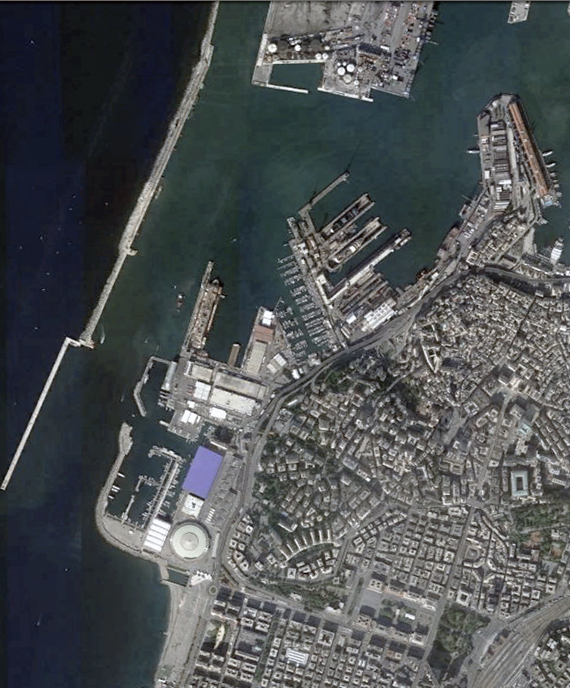 Two infrastructural scenarios are conceived to redefine the complex spatial relationship between Genoa and its port.